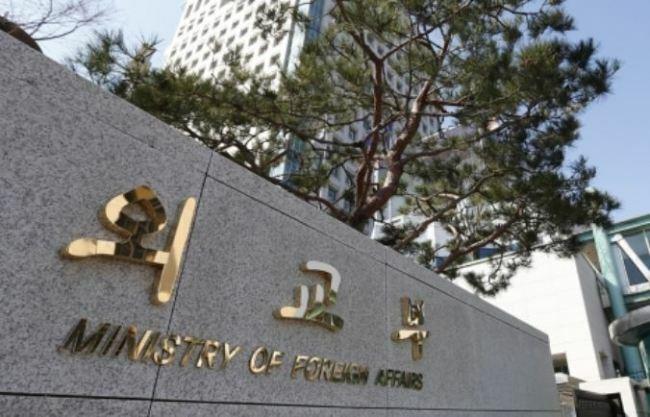 The Foreign Ministry on Wednesday published the first diplomatic white paper since the launch of the Moon Jae-in administration. The seven-chapter book introduces the government’s diplomatic accomplishments in 2017, especially after Moon took office in May through a snap presidential election. South Korea tried actively to restore or improve relations with four regional powers -- the United States, China, Japan and Russia -- via close and constant strategic communications with them, it says. Therefore, it adds, the government has “created the conditions to play a leading role in resolving the Korean Peninsula issue.” Close coordination with the US served as the “driving force” to bring about North Korea’s participation in the PyeongChang Winter Olympics, inter-Korean summits and the North Korea-US summit talks, according to the white paper. It describes Japan as not only South Korea’s closest neighbor geographically and culturally but also a partner for global peace and prosperity. Regarding China, it points out bilateral ties faced a big challenge because of a row over the deployment of an advanced US missile defense system in Korea. Moon’s state visit to China and other consultations laid the groundwork for mending fences, it says.